Borchert Field: Have You Seen Our Pages? the score card archive, with page-by-page scans of complete scorecards. 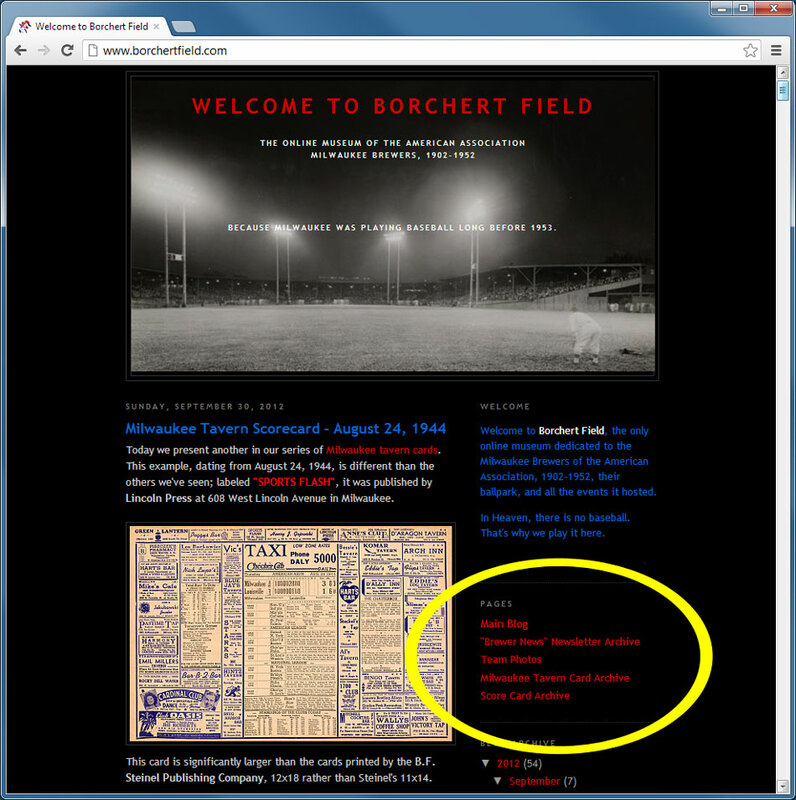 Within the Brewer News, tavern card and score card archives, you can find links to longer articles on each entry. New items will be added to these archives as featured articles are published to the blog. I hope this will allow you to access some of this information a little easier.